I’m the life coach, web designer, social media manager, author and founder behind Lilacs in Paradise Coaching and Graphic Design Services. With my B.S. in Business Management and a year of running my own business entirely online, I have the experience and skills to take SO MUCH off the shoulders of small business owners like you who are already wearing 1,000 hats and don’t need to fight technology on top of it all. I’m an Idaho native building my own business and finding my place in this crazy beautiful world. Since recently moving downtown, I’ve been learning what it means to truly be a part of my community, and I’ve discovered a passion for supporting local businesses! Social media is such an integral part of running a successful business in almost any community these days, and with the rate of Boise’s growth and the increase in tourism to Boise over the years, having a strong presence online is quickly becoming a requirement to succeed- even as a local business in a tight-knit community. My goal is to provide virtual support in ways that serve each business uniquely, meeting your needs and meeting you and your brand where you are. I don’t want to paint over all of your personality, instead I want to elevate your brand and your business online in a way that has people dying to know more and come in! I offer local businesses special rates! 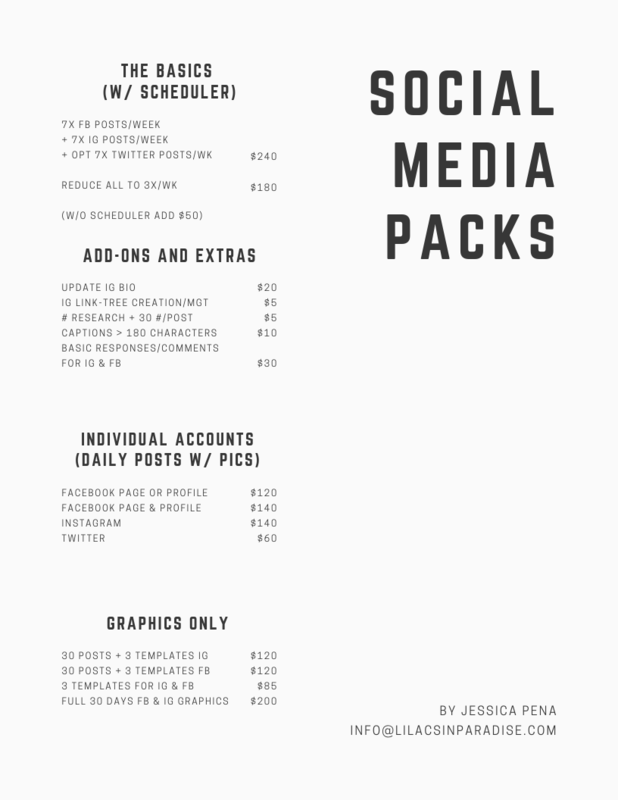 My social media management packages include graphics, captions, and posting- this service starts at $120/month. Here are my monthly rates! If you would like me to call you, list your business number and the best day/time to reach you! Find some of my work at Oh, She’s Vegan + on the OSV Instagram account, plus Facebook specific graphics here.